"... I have nothing but praise. Seriously." ..."I'm still a little breathless, just thinking about how wonderfully lucky I was to have all this here to enjoy." 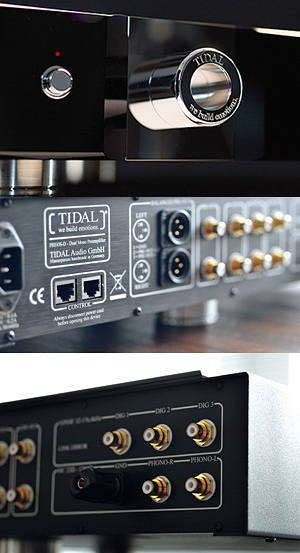 TIDAL's advanced amplifier technology use only the very best hand selected parts. "... They are exceptional in every way, and carry my very highest recommendation, with a great deal of enthusiasm." Preamplification beyond description. The Presencio is nothing less then an ultimate phono- and high level preamplifier for those who want to open the window between the source and the power amps wider then ever before, to find out what was recorded without any loss of detail or add of device colouration. Three isolated true balanced phono inputs in an external deck do allow a free configuration for three different tonearms and cartridges and do offer nothing less then bringing the reference standard of our worldwide praised Preos to a whole new level of performance. The Presencio is designed for nothing less to be compared with only one competitor: reality. Because of its infinitesimally fine resolving power, the Preos-D occupies a quite exceptional position among pre-amplifiers. Prepare for acoustic revelation, since the Preos-D is built to withdraw maximum information from any system's source. 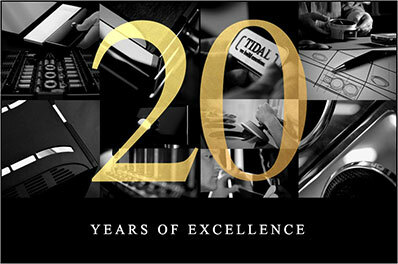 As applies to any TIDAL product, the entire wealth of technological details is only there to serve the musical purpose. The fascinating sound that the Preos-D delivers and its build quality are hard to describe in mere words. We will have to do with the most simple comparison: think of the best line stage you have ever heard, then take it one step further. The Preos-D doesn't do anything but change the volume and select a source. A sonic fingerprint of its own is absent, any loss of fine detail as well. The very heart of the Preos-D, however, is its extraordinary phono amplification circuit which is an integral part of the overall concept, built to do justice to reference status MC cartridges. The MC phono input is finely adjustable and is meant to be used with the best analog front-ends on the planet, nothing less. The Preos-D has a perfectly integrated non-delta-sigma DAC. 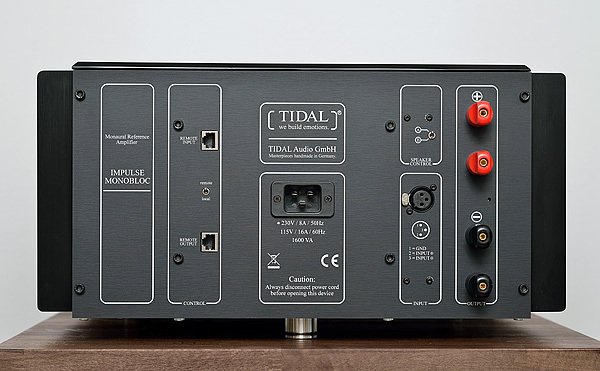 The TIDAL Camira DMC Digital Music Converter uses TIDAL's proprietary Analog Signal Remediation Technology (ASRT). The TIDAL Camira of course handles all digital formats incl. dsd/dxd, high resolution formats. So what is it what ASRT exactly do? It makes 44.1 KHz signal sounding like native high resolution formats. Maybe even close to vinyl. The TIDAL Camira remediates the "missing steps" from 44.1 KHz to create a way higher resolution quality. How it works exactly? Other than up-sampling, which works only for pure sinewaves and delivers for music signals only random interpolated results (since it changes the signal because of the physical limitation of the interpolation calculation process itself), TIDAL's ASRT does not change the original signal at all and delivers the perfectly timed signal without any pre-ringing and post-ringing at all. The overall result is the world's first, as they call it, Digital Music Converter. Of course friends, one would call our device a DAC, and for sure it is – but the result from it is so “not DAC” that they thought it is time for a new name. 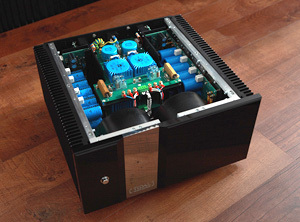 In a time where power amplifiers using more and more digital amplifier technology, power switching supplies and getting smaller than bigger, TIDAL releases a power amplifier which has dominant dimensions, a whopping weight and seems not to follow this trend. Why? There is only one answer we are interested in: performance, no matter what it takes. -Tidal's proprietary linear power supply that accurately regulates the voltage and current with 330,000uF capacity per channel. 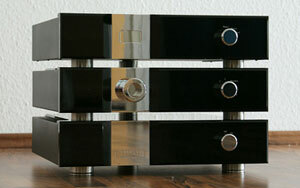 -Three Tidal's proprietary transformers with pure silver, surface polished hollow conductor winding. Each transformer is magnetically shielded and temperature controlled in a resonance damped cabinet. -Cold welding on all termination for lowest resistance and stable contact area. -No coupling capacitors in the signal path. -Multi-layer PCB with 4 x 105 uF layers. 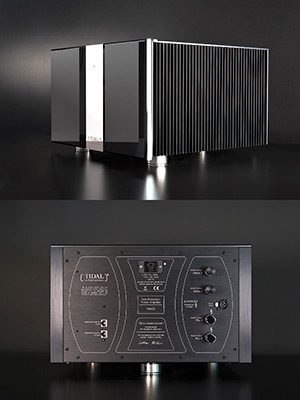 The new mono power amplifier with pure silver EMV transformers and fully V&A power regulation. They have pushed the concept of the Impulse stereo power amplifier to its extreme and developed an all new 1.600 VA power supply with a true power regulation. 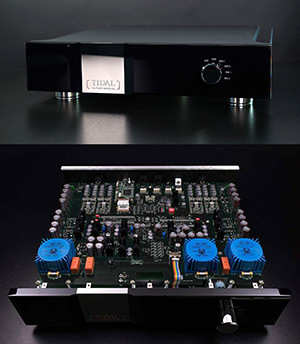 Thus, the TIDAL Ferios mono amplifier board is certain for all practical means and purposes to be supplied with never failing power reserves and a lavish feed of clean current that will drive every imaginable speaker with ease. Below are two awards for the Impulse Monoblocs. You can rest assured that the new Ferios outperforms these award winning amplifiers that it replaces. 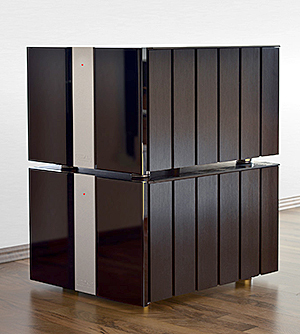 The all new TIDAL Impulse dual mono power amplifier. 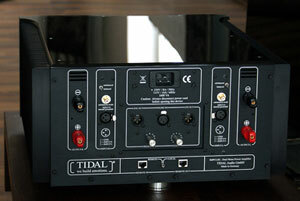 It is the successor of the TIDAL Impact, an amplifier positively spoken about since TIDAL launched it in 2003. It is using TIDAL's exclusive technology of the Impact Monobloc's with its fully regulated power supplies. New features are an intelligent power on/off remote function for TIDAL pre amps and it also has the option to choose the original LPX as a fully autark mono-module internally for active bass-amping. Bass control, punch and precision is almost a different ball game and maybe the most obvious improvement when one hears it as first. It is more transparent, more "light as a feather", more "invisible", and sounds even more natural and relaxed with almost endlessly ease. A dream for those who are looking for an amp just delivering the mail, no changing it with losing or adding the original content as delivered from the pre amp. This black glossy power bloc looks, feels and acts much more "beefy" than the former Impact, which after almost ten yours of unchanged production is a real classic. What can we say: when you liked the Impact already, you will love the Impulse.